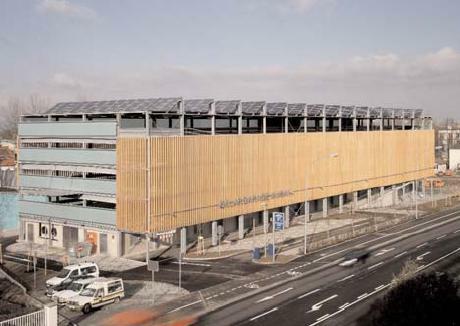 Summary The newly developed district Vauban in Freiburg is supposed to be car-free, the solar garage is the parking place for the inhabitants of Vauban. Furthermore there is a supermarket at the ground floor. The PV power plant is producing 81 MWh per annum. Additionally, the PV modules have the function of a rain and snow shelter for the cars at the top floor.